This standard size double mat can be used for baby photos, newborn through 12 months, or any photos of your choice. 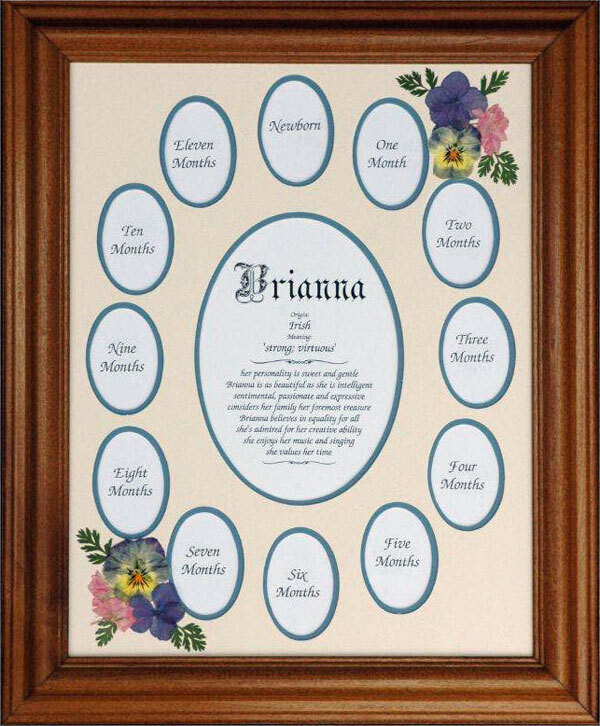 Each mat can be personalized with your baby’s name and meaning, or will fit a 5”x7” picture in the center opening. Any of these mats can be embellished with a viola mix arrangement or leaves. I grow the flowers and dry them to retain their colors.